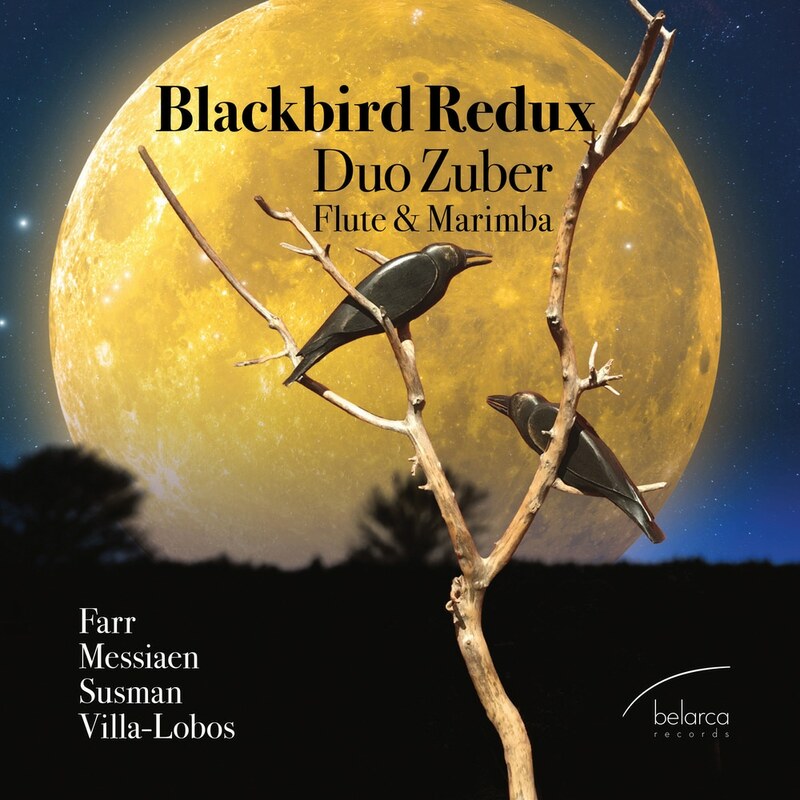 Belarca Records presents Blackbird Redux, a new duo album by New York-based artists Patricia Zuber, flute and Greg Zuber, marimba. Blackbird Redux is a program of 20th and 21st century music from New Zealand, France, the US, and Brazil. Music on the album is composed by Gareth Farr, Olivier Messiaen, William Susman and Heitor Villa-Lobos with arrangements of the Messiaen and Villa-Lobos by Greg Zuber. The music of Susman and the arrangements of Messiaen and Villa-Lobos are world premiere recordings. Patricia Zuber performs regularly with the Met Opera, Santa Fe Opera and many other renown ensembles in New York. Greg Zuber is principal percussion with the Met Opera Orchestra and teaches at Juilliard and the Verbier Festival. Duo Zuber has performed at numerous festivals throughout the US.